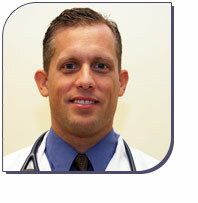 Co-Founder and Director of the Veterinary Medical Center of Long Island. Dr. Composto graduated with honors from Ross University School of Veterinary Medicine and completed his clinical year of training at the University of Illinois School of Veterinary Medicine. He practiced as an associate veterinarian in a large multi-doctor hospital in Brooklyn, New York until 2002, when he became a practicing emergency medicine clinician, as co-owner of Atlantic Veterinary Emergency Center in West Islip, Long Island. It was there his passion for progressive emergency and specialty medicine began. In 2004 after firmly establishing a reputation for exceptional patient care in his emergency hospital he directed his energy on creating a state of the art, 24-hour emergency and multi-specialty hospital. Dr. Composto with his two partners, Drs. Reed Zaroff and John Fondacaro founded the Veterinary Medical Center of Long Island. The Veterinary Medical Center now serves Long Island with crucial, round the clock access to a team of emergency doctors and board certified veterinary specialists dedicated to providing the highest level of patient care and customer service. Dr. Composto is an active member of the Veterinary Emergency and Critical Care Society, the American Veterinary Medical Association, the New York State Veterinary Medical Association, the Long Island Veterinary Medical Association, and the Veterinary Hospital Managers Association. Dr. Composto was born and raised in New York City where he currently resides with his wife, three children, and his family companions Chili, Bones, Jeru and Jerm. He considers his family the foundation of his success and when not working he enjoys spending his time with them.